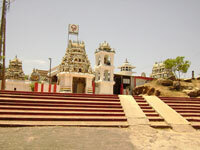 Tourist attractions in Sri Lanka have accumulated over a long and interesting history, leaving many things to see including seven UNESCO World Heritage Sites. Sri Lanka's history can be experienced at the fascinating ancient sites of Anuradhapura, Polonnaruwa, Sigiriya, Dambulla and Panduwasnuwara. The National Museum in Colombo is a good stop for those passing through the city as it houses a variety of artefacts illustrating Sri Lanka's complex culture and history. The complexity of this multi-cultural country is also apparent elsewhere in the capital city, like in the Pettah Bazzar district where exotic smells and goods are traded. Calmer attractions in Sri Lanka include the lovely seafront in Galle, a coastal town very popular with tourists, or the peaceful lake city of Kandy, which has many historical attractions. 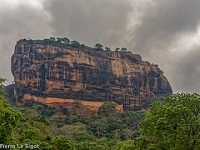 For those keen to leave the cities and towns altogether attractions include treks into Yala National Park and up Sigiriya or Adam's Peak. Of course, many prefer Sri Lanka's beautiful sandy beaches, which stretch hundreds of miles, to any amount of sightseeing. The best beach destinations in Sri Lanka include the picturesque fishing village of Marawila, on the northwest coast, the resort town of Negombo, on the west coast, and the gorgeous Weligama Bay, in the south. After a 10-year career in the financial services I eventually bit the bullet and left the UK to embark on a three month journey. I travelled to South America, fulfilling some of my childhood dreams. I went to work overseas for the award-winning experts, Kuoni Travel, taking up positions in Switzerland, Egypt and the Maldives, where I worked on a total of 8 resorts before a couple of years of working back in the UK in the product division at Kuoni HQ. Returning to the Maldives for a short time, my work took me back to Sri Lanka, where I have remained now for the last five years and regard it as my adopted home! Working with clients, I love to impart my knowledge and lead people in their pursuit of discovery! 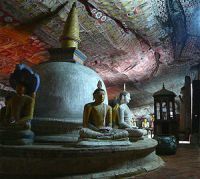 There is so much to see and do in Sri Lanka, many clients return year after year to re-visit a special place or discover new secret hideaways. 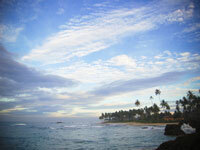 We are looking for contributors for our Sri Lanka travel guide. If you are a local, a regular traveller to Sri Lanka or a travel professional with time to contribute and answer occasional forum questions, please contact us.